Orange have been ok but for £10 a month I get the following..
No free calls and then a 25p per minute charge for calls alongside 12p a text. Despite THREE attempts with Orange my Iphone 4 remains locked to their network and with customer service being poor at both companies I might as well go for one that at least I can phone someone and not feel like I have a rather sort bottom. Ultra snow fails in my case because in a fit of madness I did upgrade my phone, condemning me to a life of a 02.10.04 baseband. Hack proof as far as I know. 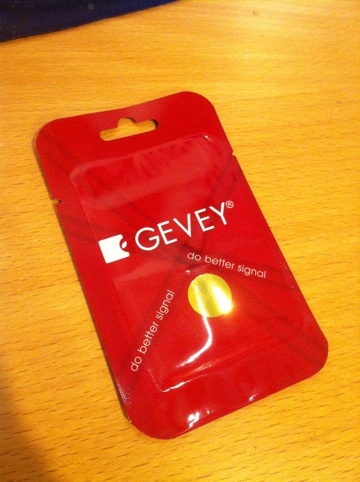 Cue the Gevey Turbo Sim for iPhone, a solution for unlocking iphones on the dreaded 02.10.04 baseband. The hack involves a wafer thing SIM, that needs to be inserted in the SIM card tray along with the actual SIM card that you wish to use in your iPhone 4. You then follow a short procedure of dialing an emergency number, hanging up, then toggling flight mode on and off a few times. Then service with your chosen provider magically appears. In no way am I happy to have to dial an emergency number for this hack but for journalism (and a way to get more hits) it’s going to be worth a go at least. So far the Sim has been ordered from a supplier (ebay) and for the purposes of this review I’ll be seeing if it has an impact on the phone life and importantly, do you have to re do the hack each time the phone runs out of batter? If you don’t will it also default back to the original provider. Well blow me.. It’s ACTUALLY WORKED. It takes it’s sweet time in this are of little coverage of mine but I can confirm that it worked and I was able to send messages, browse the net, 3g coverage etc. There are a few niggles that I haven’t worked out. The network auto select was flakey meaning I had to sometimes force it to use a particular celluar network but I’m sure there’s a setting that needs tweaking to sort that out. I’m going to give this a full road test now and report back shortly. Feel free to ask us any questions. Previous Previous post: Onavo for iPhone, a real money saving app?